On this page the BlogTalkradio shows each start to play automatically. Just press pause on the ones you don't want to listen to. This is an interview I did on Know The Ledge, on BlogTalkRadio. We discussed a column I did entitled: 10 Reasons Why Black People Should Not Take The HIV Tests. 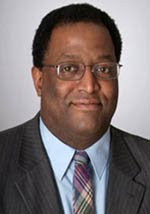 This is an interview I did with Brother Gus on BlogTalkRadio. 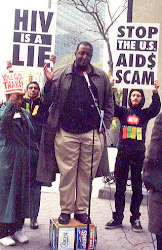 This is a debate I had with Phil Wilson who is the head of the Black AIDS Institute. The discussion centered around a column I wrote on why Black people should not take the HIV tests. This is an interview I did on Abundance Child, on BlogTalkRadio, discussing the HIV/AIDS hoax. I come on about halfway into the show after another guest. This is an interview I did for Gary Null TV. I was in Albany NY supporting health care workers who were opposed to the proposed mandatory H1N1 Flu shots for health care workers.